A huge thank you to everyone who took our survey “Are You Way Too Stressed Out?” A remarkable 3,312 of you took the time out of your busy day to complete the survey, and this high response rate highlights the seriousness of this issue to the nursing world. The results of the survey reveal the dangerous levels of stress that RNs pervasively live with, both at work and in their personal lives. Lack of sleep, 12-hr shifts, night shifts, poor diets, unrealistic workloads, lack of authority at the workplace and unsupportive management are just some of the key contributors to the stress being experienced by RNs today. RNs are neglected by a system that overworks, under-appreciates and marginalizes the experience of individuals who are the most connected to patients. Respondents had the opportunity to answer the question, “What are some of the things that stress you out the most?” Many of you were brutally candid, and I cringe at what you continue to put up with on a daily basis. These five responses are representative of the thousands received. The system is broken! The very people treating patients are sick and in need of healing themselves. This is crazy. The stress placed on RNs is eventually going to cause many of them to quit. Our nursing system is already grappling with an aging workforce and an aging general population. While the nation will need an increased number of RNs, we’re likely hurtling toward a nursing shortage. Stress leads to mistakes and errors, and hospital errors are already the third leading cause of death in the U.S. Put it all together, and we may be headed for a national healthcare crisis. This is a report you will not want to miss. Download the full PDF report below and click through the SlideShare presentation, and share your own experiences with stress as an RN in the Comments section below. I want to hear from you! P.S. Please share the report and SlideShare with every RN you know. P.P.S. Comment here and share whether you’re surprised by the results. You’re Never Too Old to Get Started as a Certified Legal Nurse Consultant – One 70-year-old RN Is Proof! I am not surprised at all with the results. I expected them to be much worse. Unless you work four 12- hour shifts, there IS no ‘good pay’ in clinical settings for an RN anymore. With a masters degree, I was offered $35,200 per year to teach full time RN students at the community college level, and this included ‘some evenings and weekends’. With EMR now everywhere, I for one feel rude charting in field after field in front of my patients. What has happened to ‘hands-on’ care? We have so little time for it. I’m not surprised at the results by any stretch of the imagination. I am one of those aging (61 years old) nurses, who retired because of the dangerous situations RNs were placed in, in my clinic setting. Advanced practice nurses working for clinic managers who have no degrees, no certifications, little continuing education. No wonder the idiotic leadership makes poor/unsafe decisions when the needed nursing input comes from managers who are not attuned to the current issues or scope of nursing practice. For legal nurse consultants, this is becoming a minefield of possibilities for consulting. I left the bedside in 1994 when the hospital corporate owners decided that we could work 12-hour shifts on the Step-Down unit, handle 5-7 semi-critical monitored patients apiece with vasoactive drips and the coup de gras, they fired the cleaning staff and said we could also do terminal cleaning of the rooms when the patient discharged or was transferred. In one memorable instance, a fellow RN was newly back from a hospital stay from having had a lung collapse. Running up and down the floor was not in her best interest but she needed the money. So, we other RNs quietly agreed to track her call bell lights to keep her less active in the next week or so. The CFO came to the floor, saw the RN sitting down to chart, and I overheard him ask the nurse manager if she knew that nurse was sitting down. So, from that point on, every time I saw that Barney Fife come to our floor, I already had a list of repairs, needed improvements and “policy questions” for him and approached him immediately. He soon would stay off our floor if he saw me coming, which was the whole point. That RN we helped 20 years ago, now works in PAR and has been my attending nurse several times. I finally told her last year, when the CFO’s name came up, what we nurses had done to aid in her recovery on Step Down. She said, “I had no idea.” I replied, “And you weren’t supposed to. We RNs had to stick together. And, I thought you’d enjoy how we managed to keep that bad boy off our unit!” (For the record, the Nurse manager didn’t have much use for the man, either). Camille, your story is proof of just how awesome RNs are! I totally agree. Also I realize that to some degree there is stress related to any and every job, but we are dealing with lives. I’m not surprised at all. After 15 years of nursing I’m looking to get out. I love being a nurse, but all the hospital politics and not being able to have the support to do what I do best is frustrating. Yes! I agree totally with Jennie. The fact that you’re trained for something and you’re not able to practice, is frustrating for me. As a nurse administrator and fully trained midwife, not being able to deliver babies, that I have practiced for years overseas– even deliveries of twins, is frustrating for me. Midwives can only assist doctors here. I totally disagree with that policy; what is it? Are the doctors then God and perfect. Look, nothing bad will happen if midwives are allowed to practice what they have been trained to do, and the board should back them up so that they can be fulfilled. Why should doctors practice and midwives cannot? I don’t get it! Like every other aspect of care, when you envisage some sort of complication, then you let the medical team come in. Those who started the profession never had a problem; midwives are still delivering babies in many other parts of the world, I know I can without a hitch, so why am I being deprived here? You know what the policy does? Causes distrust for nurses, period, like they don’t know what they’re doing! What hasn’t been mentioned is the ‘fact’ the age plays a great deal as a stressor in today’s healthcare scenario…unless you are currently working in a particular area of nursing, you are expected to be certified in that specialty and/or return to school for a refresher course. There are a lot of nurses who would like to still work in their field of interest or expertise but because of age prejudice…..this was not the case so many years ago as nurses were considered flexible and adaptable and only time for orientation to the unit or specialty was necessary. Nursing has let this scenario happen in its attempt to compete with medicine and be recognized as a profession. Often nurses starting out in the healthcare arena are looking for more technical interventions, not considering that it is ‘bedside care’ powered by good assessment skills, essentially, that truly make the difference in treating the patient…..these are the facts. The results of your survey are not shocking. The results are so true. Another big stresser right now in the work force of nursing is having to put up with verbal abuse from physicians and patients. We have to make the patients who are on Medicaid “happy” so the hospital gets reimbursed (based on survey results from these abusers of the system). The verbage from some of these patients would never be tolerated at other places of business (like a grocery store)…but in the hospital the nurses are expected to put up with this. And the physician is NEVER wrong so they can say whatever they want to a nurse and get away with it. Yes, the nursing profession is in a sad state of affairs. I have to agree with all the responses to the questions, have been there and done that. It looks like our leaders, State and National Boards of Nursing would fight for us. As individual nurses, we have had to choose our battles carefully, we are alone. After 20+ years, I was forced to prematurely end the career I loved because of complications resulting from a severe sleep disorder and anxiety which I absolutely attribute (at least in great part) to job stress. I have been out of nursing for almost 3 years now and I still literally have nightmares of not being able to save a patient due to the many broken pieces of our healthcare system. Corporate management, electronic charting and more stringent “automatic safety checks” won’t fix it. 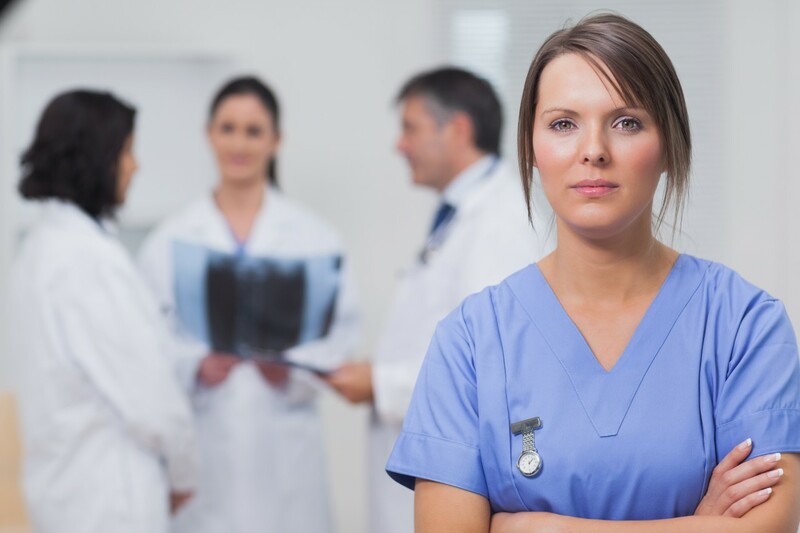 Adequate staffing, supportive management (who have worked their way up – not just spent a lot of years and $ paying for credentials), ongoing education provided to nurses, and a true appreciation for excellence on an individual level will. Corporate owners need to recognize that in the end paying for a little overstaffing is far less expensive than the repercussions of an understaffed and overstressed workforce. Pay for ADEQUATE and QUALIFIED staffing, you should mean. As long as corporate management is running Apartheid -like, it will NEVER BE over-staffed. I just retired from a private psychiatric hospital at the age of 71. I worry about the RNs I left behind: One nurse responsible for medications and treatments for 18-21 patients and no chance to sit down in 8 hours. Charge nurses having to do up to 5 admissions on a shift as well as supervise staff and handle emergencies. Lack of security leading to staff injuries from violent patients. An electronic charting system that is not user-friendly. A supervisor who cannot do our job and makes no bones about it. Constant emails about what we are doing wrong. Physicians who do not wish to have our input and are given to temper tantrums. Every nurse on our small staff has some kind of serious physical ailment from RA to IBS to cancer. This report held no surprises for me. Very sad but true; and I believe that when we are so badly treated at the workplace where we spend so much of our time and energy, that resentment seeps into every aspect of our lives. It makes the whole thing rather unsatisfying. As a CLNC® consultant I am finally getting paid well, and compensated for every 15 minute increment rather than getting robbed of 4 to 5 hours weekly. I make my own schedule. My opinion is solicited, weighed carefully, and valued. (shocking!) I get lots of thanks. I am much happier. And all this from a legal firm, rather than a health care system, the irony of which is not lost on me. Annette, thanks for spreading the word! The survey results were no surprise whatsoever. I was a critical care nurse for 37 years, mostly as a staff nurse, then as a nurse manager. In order for RNs to get more respect, all RNs should have a standard education like pharmacists, dietitians and physical therapists. Graduates are unable to function, thus a year’s internship, like pharmacy students do, would help prepare them. The survey results were no surprise whatsoever. I was a critical care nurse for 37 years, mostly as a staff nurse, then as a nurse manager. In order for RNs to get more respect, all RNs should have a standard education like pharmacists, dietitians and physical therapists. Graduates are unable to function, thus a year’s internship, like pharmacy students do, would help prepare them. There is nothing to encourage nurses to stay at a job, so it becomes a revolving door. They should be rewarded for staying 5, 10, 20 years by increasing vacation days, less weekend time, more holidays off. There is nothing to encourage loyalty and yet so much money is spent on the hiring/orientation of new hires. Hospitals are penny wise, pound foolish. To increase patient satisfaction, hire more CNAs so patients don’t have to wait for that bedpan, so that CNAs can work in tandem turning patients frequently to prevent pressure ulcers (and lawsuits) instead of wasting time running up and down the hallways trying to find someone to help you, thus giving the RNs time to spend with their patients and truly care for them as individuals. Every shift, there should be a nurse with no assignment except to relieve nurses for breaks and meals. As a manager, my philosophy was to take good care of my staff so they could take good care of our patients. But now we are reimbursed according to survey results, making a hard job even harder. We are being forced to become Magnet hospitals to supposedly increase nurse autonomy and satisfaction, which are like dog and pony shows, instead of increasing nurse satisfaction by improving the quality of their job. Patient satisfaction, patient safety, quality assurance, best practice, staff education and standards of care are all important, but the nurses doing the job are just as important. In what other job, do you have to be physically strong, mentally sharp, and emotionally present to get the job done? We must care for those who care for us. Joan, you are so right! Vickie, I want to thank you for conducting this extremely important survey that is long overdue. I was one of the contributors as I realized years ago that our profession was in need of being heard and now because of you we have been heard at a national level via the media-what progress! I was not surprised by the results at all and have found that I’ve admitted many nurses who were burned out by their jobs, who have become suicidal thus being admitted into a behavioral health Unit. I have multiple specialties and am bilingual, English/Spanish, and have found that in any field within nursing in different cities and states from the East Coast to the West Coast of our nation that it is the same with regard to the stressful environment. By these results being published and people becoming aware of the critical situations that nurses are faced with day in and day out, we as a nation can start to look at the solutions to these problems instead of sweeping them under the carpet as we’ve done in the past in our medical profession. Again Vickie, I thank you for your continued support in our field of nursing and legal nurse consulting as well! No, I am not surprised with the survey results. I worked in acute care, rehab/skilled care and LTC. The Corporate management on down to administration of the facility of the current employment promise the same things. We recently had a shift in management.They expect you to take lunch (plus two 15 min breaks-never taken by nurses ever) and complete all the patients needs and to do the work in a timely manner (within 8hrs) NO O.T. If lunch is skipped to many times one is disciplined, three infractions for any reason and you are fired. That , of course, means if you are not on their “good” side. The current Nursing. administration is unprofessional and negative. The short staffing places the patient at risk, a greater chance for errors. The report is wonderful! I have worked as a nurse and now as a nurse-midwife in various positions. Everything in the report speaks about me. I often can’t make my own doctors appointments because of my schedule. Sleep?? What is that? Eating healthy – that is a laugh! If I take time to make a healthy lunch to take with me, I take time away from much needed sleep – Sleep usually wins. I’m a victim of the nursing dilemma. I’m an RN with 34 years experience. I’ve worked ICU, ER for the majority of my career. 4 years ago I became the DON of nation wide Home Health system in our local community. I won’t even address the issues and lack of upper level management I was faced with, in the end I took a position as a field nurse. This was the biggest horror of my life. Most of my days were 16 hour days, 10-12 in the field and the rest at home doing the computer charting that I had no time to do during the day. It was take notes fast and furiously, do the patient care and not compromise the care or my integrity. I drove hours and miles and miles between patients, accumulating over 120-150 miles in a day at times. My patient load was impossible, some times 12 days straight without any help on the weekend. Being of the old school I felt compelled to finish my work assigned. I would be given patients to care for that required unique and special IV administrations and it wasn’t felt that I or any other nurse required knowledge of mixing the medication correctly. We aren’t pharmacists! I asked them how they would feel if they were the patient or family member watching a nurse read a pamphlet and fumbling to do the whole procedure correctly.That exudes confidence in your caregiver! To them it was, “you’ve done IV meds before, what’s the big deal”? Again upper management totally out of sink with what the life of a nurse really is. I could go on and on about my horrible experience. What I do want to pass on if it will help any other RN out there who is in deep stress to sit back and reevaluate their job and life before something bad happens and forces them into a startling life change as what happened to me. 11/2 years ago I awoke in the middle of the night with unbelievable facial and leg movements and unable to speak. I was sent to the ER for evaluation and multiple testing to see if I was having seizures or a stroke. All negative. This scenario was repeated 2 more times. My diagnoses are Major Depression, Conversion D/O and PTSD all caused from years of nursing but Home Health putting me over the edge. I am no longer able to work or drive. Our financial loss goes without saying. The past year and a half have been overwhelming to me. Thankfully, with therapy and medication I have improved a great deal. Please continue your hard work on helping nurses to leave the stresses of hospital work. If I could work I would love to become a CLNC or a nurse counselor to tell my story or stories of others. I applaud your efforts and the education you have made available to nurses. I am a Registered Nurse of 30 years and I currently work on the Navajo Indian reservation. I have been here for 3 years and have experienced the most horribly managed facility I have ever worked in my nursing career. There is no way to advance. I have been told that I am not suitable for other positions, you are spoken to without respect, they have involved people in the hiring process who have no idea of your experience. They will not hire when we are short staffed and as a result it places a heavier worked load on only 2 nurses. When we offer suggestions for improvement they are ignored. Currently we are working with a nurse executive who is always giving us negatives. He should have been gone a long time ago with all the write ups and complaints he has received but because he is good friends with the Chief Nursing Officer he remains. I really dread going into work anymore. The patient work load is out of control, unsafe, and nothing being done to get rid of these negative folks. This type of nursing environment has caused me great duress and stress. I have gotten to the point in my career that I just want to say to heck with it. I feel that there is a greater opportunity in becoming a Certified Legal Nurse Consultant. Thank you for your hard work and compiling this research Vickie. It confirms our worst suspicions, true, but also points to where our efforts truly need to be focused in lifting up our profession. Fellow nurses need healing, stress relief and reprieve. Love the story from a previous comment where she and other nurses banded together to help a nurse who had returned to work after lung surgery. Step down nursing is no joke. Nurses are awesome. The results of this survey are not at all surprising to me. They are in fact positive confirmation of my long-held beliefs about nursing stress based on my 35 plus years in nursing and 46 years in the field of health care. I feel a strong desire to change the stress in nursing to make it possible for nurses to do the everyday magic of which they are capable both for their patients and also for themselves and their families. I am not at all surprised. I too participated in the survey. And one of the most significant stressors in my job is that the higher-ups have lost focus of the patient and maintain their focus on the money. It breaks my heart when I witness the decay of what the 1 true meaning of “nursing” used to be. And what it is supposed to be about is, above all else, the patient. I applaud you for taking a stand for the nursing profession. I love what nursing is but I hate what non-nursing forces on the health care system have turned it into. They are not supporting what nursing is or what the profession is about. They do not have any concept about nursing values, our mission, our goals and our nursing standards of care, nor do they seem to care. I’m not at all surprised of these results and after 27 years of nursing I think this is presenting only the tip of the iceberg. There are much worse situations starting to expand out that I have seen great nurses leave the profession for. Nurses with integrity and commitment ruined in the work environment by administrators and managers that rule with negativity, bullying behaviors, try to break a nurse’s integrity and coerce them into doing the wrong things to meet their bottom line and make their books and reports look good by hiding the truth. Honesty does not matter anymore and you are brutally abused and bullied if you try to advocate for your patients which is one of our standards of care or speak up about how impossible and unreasonable the job expectations have become. I have seen management and administrators cook the books and tamper with the charts to make MDs look good and administration look good and scape goat on the nurse. I have seen nurses put in impossible situations and brutally harassed about not being good enough when the situations they are asked to perform in are humanly impossible. I have watched managers and administrators turn a blind eye to nurses working 4 and 5 hours over their shifts without any reimbursement to get all the expected work done and bullied if they ask for overtime or compensation time. I personally acquired PTSD from retaliation from managers and administrators that are not experienced, trained or educated with appropriate degrees to the level they need to be to run health care departments, manage nursing as professionals or even run health organizations, in my efforts to try to reason with them. It is rare that I have actually worked for competent management or administration. They use bully behaviors to control staff and grooming behaviors to force nurses to work in ways that are dishonest and not in the best interest of patient care. I’ve seen the work environment for nursing only deteriorate over the years despite all the efforts our nursing organizations try to make to improve working conditions for nurses so they can actually practice nursing. I have seen situations where management will not even support the completion of the nursing process which is our standard of care, telling nurses just to skip the steps in practice but document so it looks like proper procedure has been followed. This is killing the very spirit of the practice of nursing right to the core. I love what nursing is about but it is no longer nursing that is being allowed to be practiced in the work environment. I just hope the momentum of this report can be continued and more people that have the leverage to impact change will continue to fight back for the true spirit and autonomy of what the nursing profession is about. I would just like to include that the same pressures are now moving into the nurse practitioner profession and invading like a cancer. It just breaks my heart. The negativity seems so overwhelmingly powerful and nurses at all levels of practice are suffering. Thank you for bringing this to light and offering nurses an alternative to working in their profession with opportunity to still come from a place of passion, integrity, honesty, and a sense of being able to influence positive outcomes for themselves and the cases they are involved in as a Legal Nurse Consultant. Thanks for believing in nursing and being a strong hold for the profession. Thank you for being brutally honest. I have had the same experiences. After 25 years of nursing, I applied for an FNP program. I guess it is not better in that role. Perhaps, I should reconsider my direction. Thank you for shedding some light on reality. I am a nurse of 20 years and have worked in a multitude of specialties from pediatric to geriatric, home health to critical care. I am currently enrolled in the CLNC® Online Certification Program. I am not surprised at the survey results. Nursing has always been a high paced, high demand, high stress job for those who want to deliver exceptional care. However, what I have seen progress in the last years is the disconnection from management and the nursing staff – the lack of support to the nurses and the higher demand for production from our nurses. Management doesn’t have a realistic expectation of what really happens or what it takes to accomplish excellent care. My story is so similar to those of the other nurses. What I would want to share with those that would read this is hope and encouragement. I tell my fellow co-workers this on a daily basis. We are not powerless! You are more powerful than you realize. As nurses we want good results. We don’t like to complain and have nothing accomplished. We want to see positive change. I tell nurses to get involved in your local Union. The more nurses that get involved the more power it produces. Know these three governing agencies and what to report to each to gain the assistance that is needed. Write letters and or call them. Don’t be afraid, they are there to help you. Unfortunately our hospital industry’s main language is currency. Unless you speak that language they won’t understand, and they won’t respond. Contact a class action attorney that specializes in wage and labor lawsuits. File a class action lawsuit for missed meals, missed breaks, and falsification in your Kronos or time keeping records and not being paid correctly, etc. I am glad to hear that nurses are speaking up and standing up for change. I hope that my input encourages and empowers those that read this. Stay the course and be strong! Vickie says it so perfectly, “We are nurses we can do anything!” I truly believe this. I have observed how, in the midst of the ever-ending rage and storm of mistreatment and the devaluation of nursing by corporate, the sense of allegiance among nurses has been just about bankrupt. I have observed nurses in toxic, ill-treatment exchange with each other; I’ve seen work-place bullying and unfair treatment and it continues to be fostered and accepted among ourselves. And, it seems that as long as we are distracted by this, looking at each other as if we’re the cause of it all, demonstrating the zero-to-no worth for each other, the profession as we know it (nurses w/ 10 yrs. or more experience) will be extinct. (Sorry for the doom and gloom). But, we are now in an environment of distrust and disloyalty. We are faced with trying to look like we’re cool in order for the support of the auxiliary staff (techs, etc.) to approve of any of us to get the ‘she’s a good nurse’ seal of approval. So, at least they may even place someone on the bed pan and get them off with pericare if lucky, where is the accountability for those who, if you’re not cool, who cause the additional workload on the already overwhelmed nurses. I just haven’t seen any of this discussed yet and I know it’s happening. Not all techs, per se but it seems to be the trend now. Quality of care further eroding while nurses progressing to complete burn-out. Forget the ‘super nurse ‘ syndrome; can’t do it. Despair, despair, despair. My nursing experience is 28 years: patient care, telecommunications within the insurance industry, healthcare IT. It’s not any easier working in an “office job” at any position in the development of the hospital electronic medical record [EMR]. I have worked across the country for non-profit hospital companies and for-profit hospital corporations that are swimming in money and have worked many different roles in this industry. It doesn’t matter; they are all alike- EMR development is disordered. This work, just as in bedside nursing, is weekends and irregular shifts with –in MY experience- more overtime to get the work done under impossible timelines to meet or beat go-live dates set by the government and the hospital/business IT Department. Like you, I could write a novel. I’ve seen former bedside nurse leaders within these systems who don’t all get along with each other. Leadership is done by yelling at individuals and groups in front of other people. Many of my IT co-workers are leaving hospital/ambulatory IT to work for themselves in completely different fields; after nursing for 25+ years then healthcare IT for 10+ years, they are quitting. There remains a shortage of healthcare IT personnel- guess why? I have seen internal departments totally remove the RN from their staff only to be led by non-clinicians who do not understand the workflow of ambulatory and in-patient care. I have seen new hires who have no respect for their co-workers and cause disruptions down the line as well as internal resentment among the rest of us who have to pick up the pieces. I can’t understand how these corporations manage to exist if they don’t know how to ask the right questions during the hiring process and don’t listen to those of us who prove to them that new hires are not working out or just not WORKING at the job for which they were hired. Please, take care of yourself and pursue entrepreneurship fully; never give up. Get your rest- sleep at night and nap 30 minutes if you are able. Eat right and READ THOSE LABELS- stop eating GMO, sugar and processed ‘food’. The future of healthcare is worrisome to me. Spend the money on good food now, even if you think you can’t afford it- cut something else out. If you don’t eat real food, you’ll pay later with painful and/or unnecessary and preventable trouble as well as early death in a ‘hospital’ where caregivers can’t. Neither you nor your families deserve that. Being a seasoned RN of 42 years and having worked in the critical care setting most of my career, I ventured from clinical/bedside nursing (due to physical injuries and age) to case management and then utilization review (with an insurance company). I too believe corporations have forgotten the patient and care only about $$$. I recently resigned from the job with the insurance company due to stress and hostile conditions. I could not review and complete documentation on enough cases a day to meet the demands of the company. I was made to feel inadequate, incompetent and humiliated in front of my peers. The systems being used were antiquated (one a DOS system) and there was never enough time to complete the task at hand due to continuous interruptions and corporate mismanagement. It was a hostile work environment to say the least, and there were expectations to work “until the work was done” as a “salaried” employee; overtime was never considered. Positions were always open for the Utilization Department and we were never fully staffed…but the expectations remained the same, even with the overload of cases. It was impossible to maintain balance in my life and the stress was affecting me physically. When looking for any work in the nursing field, please take the time to explore the expectations of the corporation. All levels of nursing, other than being self employed, place demands which may not always be feasible and cause a whole new array of stressors which you may not have experienced in the past. I thank Vickie again for the CLNC® Certification Program which now is what I am finding will be my saving grace! I will be my own boss, work when I choose and can supplement my social security income to make ends meet by doing a limited number of cases a month. Life is good and being happy is the key to less stress!! I have been in acute care for 11 years for the “major” health system in my area. Prior to that, I worked in an outpatient setting. I have never witnessed what is going on in my unit. Echoing most of you, I have every symptom of burnout there is due to most of the conditions you mentioned (short staffing, increased margins for error, the expectation you “stay until it’s done”, etc.) I have taken call for 11 years, made “it work” with no staff while in charge and feel like I am putting my license in jeopardy daily with the lack of support. I’m grateful for my background in nursing, but am having a very hard time envisioning my future in it. Sad! This is not what I envisioned in 1997 when I graduated. Very concerned for the future of patient care.